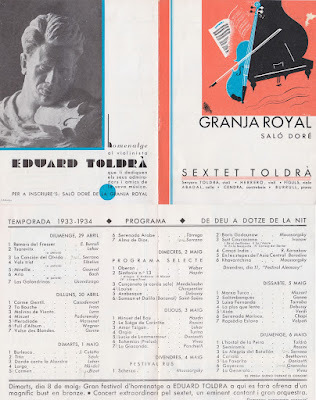 Eduard Toldrà started his first violin studies with his father Francesc Toldrà Carbonell in Vilanova i la Geltrú (1899-1905) and then moved to Barcelona in 1905 where he enrolled at the Liceo, being transfered to the "Escola Municipal de Música" one year later to study with Rafael Gálvez (1906-1910). Toldrá era violinista nato personalísimo sin alterar ni deformar por ello (como ocurre con algunos artistas demasiado «personales»), el pensamiento del compositor. 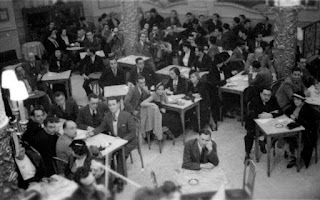 Su «manera», su estilo, eran inconfundibles y de irradiación extraordinaria. El joven Toldrá tuvo la suerte de encontrar un excelente maestro en Rafael Gálvez. ¡Cuántas veces mi gran amigo me había hablado de él con la profunda admiración y veneración! En el «caso» Toldrá resulta imposible separar el hombre del artista; su técnica era humana; musical, sensible («la técnica viene directamente de la expresión», nos dice Liszt). No se trataba ya en Toldrá de la técnica fabricada aparte para ponerla después al servicio de la música, sino más bien de la técnica en unión y función del arte, como nos reclama Furtwaengler. Todas las cualidades humanas de Toldrá se reflejaban en su arte violinístico e interpretativo: Un algo primaveral, optimista y sonriente finia de su arco. Pocos artistas poseen este don de la alegría y pureza en el sonido; su manera cariñosa, tierna, nunca empalagosa, contrastaba elocuente y bellamente con su enorme energía, su ritmo, su ataque firme sin dureza ni petulancia; la variedad de timbres logrados evocaba el color de la orquesta; en este sentido y en algún otro aspecto recordaba al famoso Enesco [external link] [biography]. También, como es sabido, violinista, director y compositor. No hay duda que el compositor, influía poderosamente en el arte del violinista-intérprete, que daba, cada vez más, la impresión de hacerse suyas las obras de los otros compositores. Cuando muy joven dió a conocer sus «Sis sonets», recuerdo que Casals, presente en el concierto: me dijo: «En la manera de expresarse Toldrá en el violín, siempre había sospechado que había en él un compositor». Esta obra para violín es de un frescor y una belleza imponderable, verdaderamente emocionante. Podría aducirse que produce esta emoción y esta simpatía por el hecho de que en ella circula constantemente un aire local de «canto a la tierra». Para desmentir este supuesto juicio que se me permita y perdone, porque no hay ninguna variedad en ello que haga alusión a una actuación mía. Estimulado por la admiración y el entrañable afecto hacia mi gran amigo, me decidí a presentar esta obra, con la colaboración de Blanca Selva, en Madrid. El entusiasmo de los madrileños fue enorme. «Qué maravilla de luminosidad», exclamó Arbós que asistía, al concierto. Posteriormente, esta, obra fue ejecutada en el extranjero, y la acogida fue siempre la misma; compositores como Florent Schmitt y Albert Roussel, reconocieron con entusiasmo la gran personalidad de nuestro Toldrá. Han pasado muchos años, y estas obras exquisitas no envejecen porque en ellas hay este «algo» misterioso que sólo los elegidos poseen. Nuestros jóvenes violinistas, algunos de ellos acostumbrados a luchar con las obras de los compositores contemporáneos, incluyen en sus programas las obras de Toldrá y sienten la sorpresa, de lo inefable, puro y verdadero al adentrarse en el espíritu de estas pequeñas piezas exquisitas e inmarcesibles. Estas cualidades resaltan en todas las composiciones de nuestro gran artista, que a pesar de su difícil simplicidad, son profundas, nobles y absolutamente sinceras. ¡Es esto un alto ejemplo! "All methods of violin playing are essentially descended from the teachings of great Italian masters Corelli (1653-1713), Tartini (1692-1770), and Viotti (1755-1824). The nineteenth century, however, witnessed the development of national idiosyncrasies which characterized particular "schools" of playing. Two of these, French and German, are representative of the range of these variations. In Paris, Viotti students Pierre Rode (1774-1830), Pierre Marie François Baillot (1771-1842), and Rodolfe Kreutzer (1766-1831) left a legacy in method books which was established as norm at the Paris Conservatory and is still used in basic violin study. This style of playing was typified by elegance, precision, purity of sound, and virtuoso technique. The German school focused on different qualities and was initially associated with Ludwig Spohr (1784-1859) and Joseph Boehm (1795-1786, student of Rode and teacher of Joseph Joachim, 1831-1907). These violinists played in a manner which was ample, romantic, and impassioned, rejecting virtuoso effects and searching for profound depth. Ferdinand David (1810-1873), friend and collaborator of Mendelssohn and later of Joachim, was representative of this style with his large and passionate sound which inspired some of the great romantic violin concerti. Belgium also has a long association with the violin and most of the important pedagogues in Brussels were educated in Paris. Charles de Beriot (1802-1870), one of the most famous traveling virtuosi of the day (and husband of the Spanish singer Malibran), was the violinistic grandchild of Viotti. As a student of Baillot and Roberrechts, he in turn was the principal teacher of later representatives of the Belgian school Henri Vieuxtemps (1820-1881) and Eugene Ysayë (1856-1931). It is within this Belgian tradition that the first great Spanish virtuoso of the nineteenth century, Jesús de Monasterio (1836-1903) was trained, beginning a long association between Spanish violinists and Brussels. Jesús de Monasterio is considered the spiritual father of modern Spanish violin study. A child prodigy, he was a student of de Beriot and received the Brussels Prize of Honor at the age of fifteen. 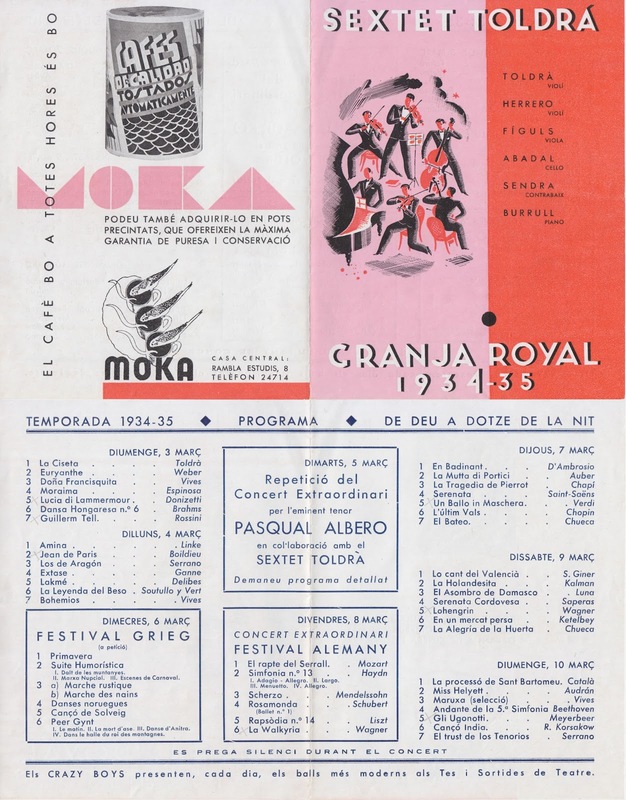 Rather than pursue an international career he returned to Spain to become e member of the Royal Chapel, maintaining an active performing and teaching career (Madrid Conservatory), and publishing several widely used method books (including Estudios Artisticos, still used in both Madrid and Brussels). As director of the "Orquesta de la Sociedad de Conciertos" and founder of the first Sociedad de Cuartetos, he greatly contributed to a musical panorama heavily dominated by lyric theater. A lengthy and impressive roster of students included Luis Antón (b. l906, teacher of violinists Pedro León, violinist of international stature who was on the faculty of the conservatories of Seville and Madrid; and Carlos Rodríguez b. 1910, teacher of important contemporary violinist Victor Martin, b. 1943]. Another distinguished violinist and conductor, Enrique Fernández Arbós (1863-1939), studied with Monasterio and Joseph Joachim in Berlin, creating for the first time a link with the German school. Renowned violinist José del Hierro (1864-1933), student in Brussels of Baillot protégé Hubert Leonard (1819-1890), was active in the formation of the orchestral and chamber music life of Madrid. He sustained the Belgian tradition through his many years as professor at the Madrid Conservatory. By the end of the nineteenth century several Spanish violinists, including Hierro and Monasterio, were well known throughout Europe. One name from this period, however, internationally evokes Spanish music. Pablo de Sarasate y Navascuez (1844-1908), a contemporary of Joseph Joachim (1831-1937), was a student of Delphin Alard (1815-1881) in Paris. It has been said of Sarasate that he was neither a great artist nor a great musician, simply a great fiddler. Known for elegance of style, a technique which rivaled that of Paganini, and a delicate pure sound, Sarasate quickly captured international attention. Although he was not active pedagogically his contribution to the violin repertoire was vital. He wrote with knowledge and effectiveness, and his work (along with that of Albéniz and Granados) was pivotal for the internationalization of the Spanish idiom. In the early twentieth century other Spanish names figured prominently at the forefront of a "Spanish“' violin school. All composed and subscribed to the nationalist doctrine, with varying degrees of sophistication. 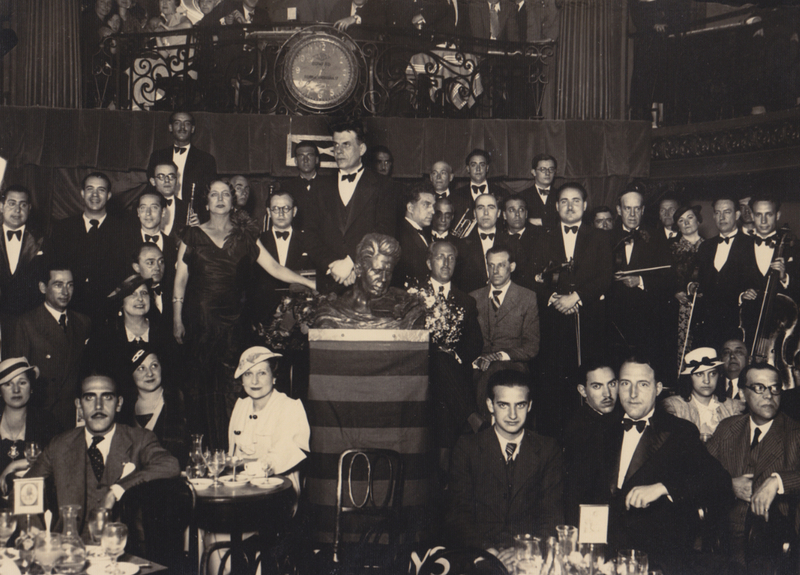 Andrés Gaos (1894-1959), a student of Monasterio and Ysayë in Brussels emigrated to Argentina early in his career where he had great impact on musical life. Manuel Quiroga (1892-1961) may be considered the spiritual heir of Sarasate. Equally gifted as a painter. composer, and violinist, he was a student of José del Hierro in Madrid. 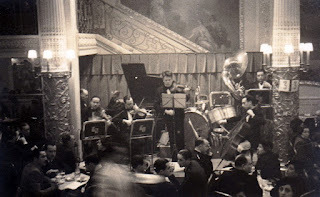 Later al the Paris Conservatory where Thibaud, Kreisler and Marsick taught simultaneously, he received the Grand Pris “Odeon” which Sarassate had previously won. He concertized internationally, including in the United States where he promoted contemporary Spanish music. Catalonia has produced many important violinists. Joan Manén (1833-1971) is the principal figure in the Catalonian violin tradition. He sustained an international performing career well into advanced age and the most prominent Catalonian composers, including Mompou, Homs, Montsalvatge, Valls, and Bonet, composed for him. 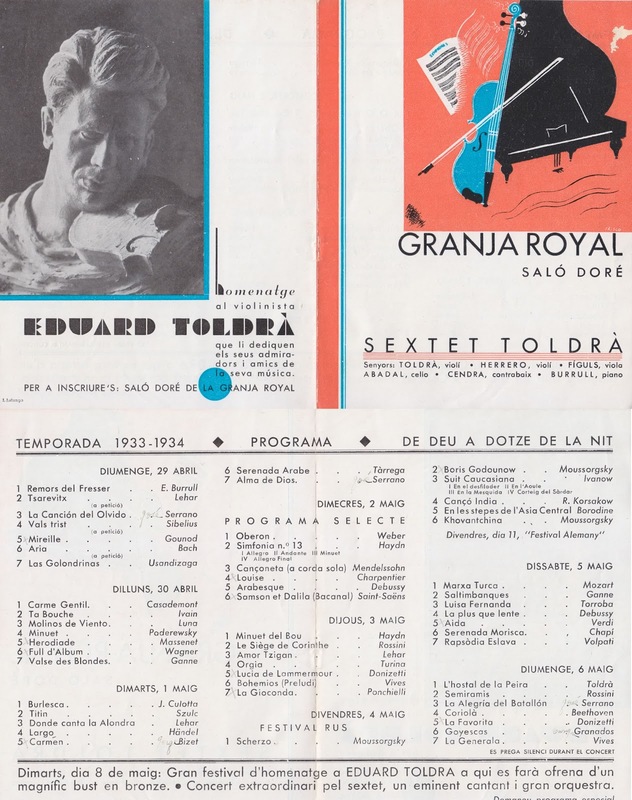 Although not a virtuoso in the class of Sarassate, violinist-conductor and composer Eduardo Toldrá (1895-1962) was admired throughout Spain and adored in Catalonia. He founded the Cuarteto Renacimiento and was for many years a professor at the Municipal School of Barcelona. Toldrá, who was trained in Barcelona, was known as a musician for his depth and freedom from artifice. Curiously he wrote relatively little music for violin. Other successors, especially prominent in perfomance and recording of contemporary Catalonian music, include Xavier Turull (b. 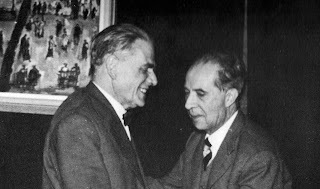 1922) and Gonçal Comellas (b. 1942). Augustín León Ara, a brilliant violinist and son-in-law of composer Joaquín Rodrigo, is an assiduous promoter of Spanish music. He has premiered numerous works in this catalog (many are dedicated to him), and maintained the Belgian connection for almost four decades as a student and teacher at Brussels Conservatory. He is also the prototype of a generation of excellent Spanish string players who became expatriates to further their careers (among other reasons) and are gradually returning. Presently head of the violin department at the Barcelona Conservatory (his predecessors include Xavier Turull and Eduardo Toldrá), León Ara is active as a pedagogue and a performer, continuously forging new avenues for the promulgation of Spanish violin music. A León Ara protégé in Belgium, Gerard Claret (b. 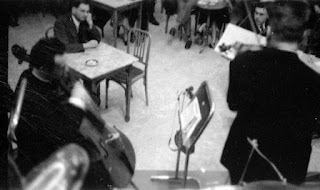 1951) returned from his studies to become a major pedagogical figure in Catalonia while maintaining a significant perfomance career. As a native of Andorra, he has recently started his own orchestra there with government support. Angel Jesús García, former concertmaster of the Bavarian State Opera, is concertmaster of the Teatro de la Zarzuela in Madrid. After a career in Zurich, José Domingo Tomás has returned to be concertmaster of the Orquesta Sinfónica Nacional, and Victor Martín, recently returned from Canada, is professor at the Madrid Conservatory. Slowly, a tradition of prominent violinists remaining in Spain is growing." 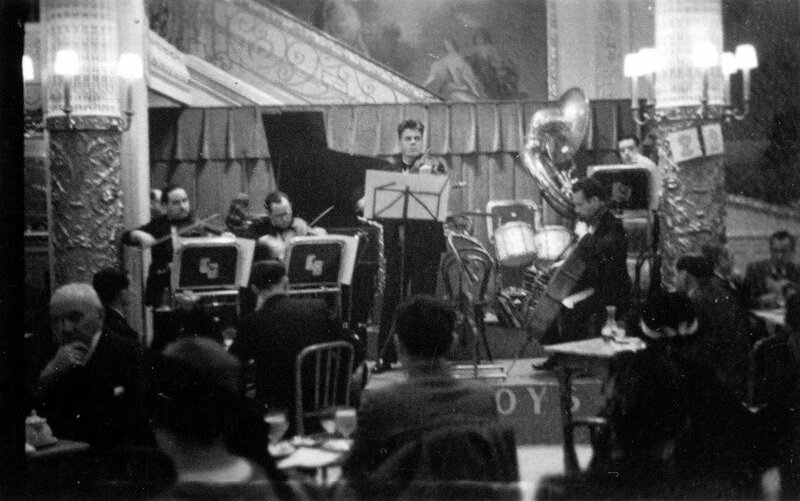 First audition of the Beethoven's complete 17 String Quartets by the "Quartet Renaixement" at the "Sala Mozart" in six sessions. 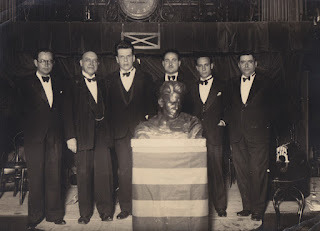 Toldrà bought his violin from the Cassadó's family after 1914, date that Agustín Cassadó (aka Tín - Gaspar Cassadó's oldest brother) passed away. In his early ages Agustín demonstrated great promise as a violinist. For that reason his father determined to give both sons the best musical training possible, moved the entire family to Paris in 1907. They would remain there for seven years. With the help of a grant from the city of Barcelona, Agustin took lessons from the great French violinist Jacques Thibaud. On the other hand, it doesn't seem reasonable to think that the instrument Toldrà adquired from Tín was actually a Bergonzi (either father or one of the sons). The cost of the instrument itself seems not possible for his budget. Most likely that was a falsification, most likely a German reproduction. It is hard to believe that Toldrà, coming from a modest family and being too young at that time could afford such an instrument. And it is known that there were many great makers' violins that were copied and mass produced in Germany and the Czech Republic from the late 19th century.That was the case of Pau Casals who owned for many years an instrument that he thought it was a Bergonzi because of the label it bore. The question would be to find out what happened to that violin? Narcisa Toldrà, Eduard Toldra's daughter said that "he played that violin for a long time, and kept it until he died. 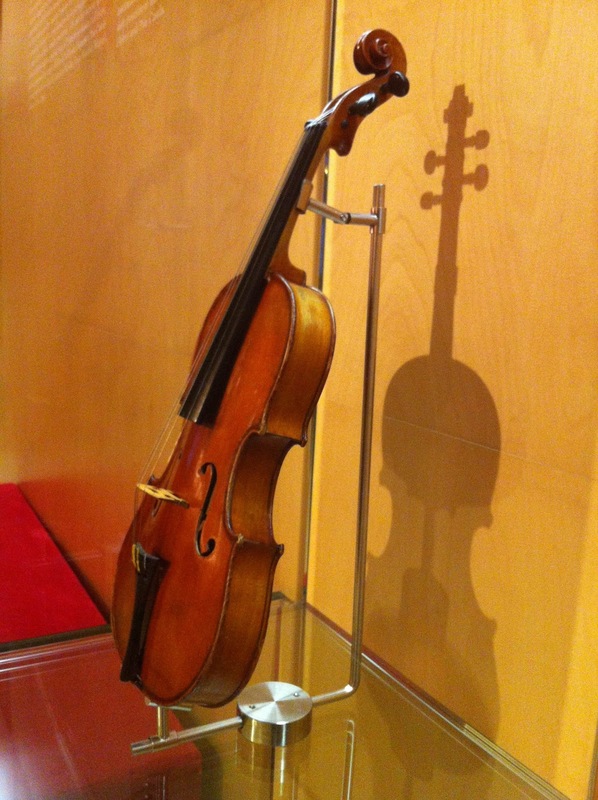 It was a very beautiful and distinguished Italian violin." Carlo Bergonzi (21 December 1683 – 9 February 1747) was an Italian luthier who apprenticed with Hieronymus Amati, collaborated with Joseph Guarneri, and is considered the greatest pupil of Antonio Stradivari. Bergonzi is the first and most noted member of the Bergonzi family, an illustrious group of luthiers from Cremona, Italy, a city with a rich tradition of stringed instrument fabricators. His parents lived next door to Stradivari in the Piazza San Domenico in Cremona. Bergonzi apprenticed under Stradivari and eventually was given all of Stradivari’s repair business. Since his repair services were in high demand, Bergonzi was unable to devote the time to producing many of his own instruments. Bergonzi violin designs were based on the Stradivari and Guarneri templates. 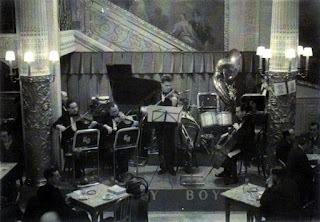 The Kreisler Bergonzi, named after violinist Fritz Kreisler. At one time it was also owned by violinist Itzhak Perlman. 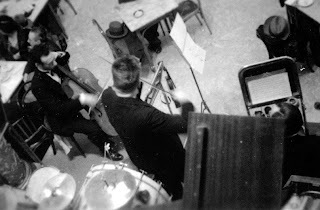 Both Kreisler and Perlman performed and recorded with it. It is known that many instruments that bear his label are inauthentic. A cello once owned by Pablo Casals was for many years thought to be a Bergonzi because of the label it bore indicated: "Carlo Bergonzi . . . 1733." It was later found to have actually been made by Matteo Goffriller. "There has been considerable speculation regarding the question of how Carlo Bergonzi learned the craft of violin making. The Hills suggested that he was a pupil of Giuseppe Guarneri filius Andreae, whose influence can certainly be seen in his work. However, recent research suggests that his closest links may well have been with the Ruggieri family, which had always worked on the outskirts of Cremona, away from the Amati-dominated mainstream. Carlo's mother was godmother to Vincenzo Ruggieri's daughter, Teresa, and from 1712 Bergonzi and Ruggieri lived in the same parish, suggesting that they may well have been closely associated. Bergonzi was probably working independently in the early 1720s. Bergonzi's instruments are considered the equal of all except those of Stradivari and Guarneri del Gesu, and his work is characterised by a superb choice of wood, a rich varnish to rival Stradivari, and a fineness of execution surpassed only by the Amatis. In 1746 the Bergonzi family moved into the Stradivari house, where they stayed until 1758, and Carlo appears to have worked on some of the instruments that were left unfinished at Stradivari's death, some nine years earlier. Carlo's son, Michele Angelo, was not his father's equal either in craftsmanship or inspiration, but the Bergonzi tradition continued until around 1800 in the hands of Carlo's grandson, Nicola." Es conserva un dels seus violins al fons de la col·lecció del Museu de la Música de Barcelona. En la seva activitat de concertista de violí, Toldrà feia servir un instrument fet en el segle XVIII al taller dels Bergonzi, luthiers de Cremona deixebles dels Stradivari. Aquest instrument, actualment en parador desconegut, havia estat abans propietat del germà de Gaspar Cassadó, el malaguanyat violinista Agustí (“Tin”) Cassadó, mort prematurament l’any 1915. En tot cas, el violí de Toldrà que va ingressar el 2012 en el fons del Museu de la Música de Barcelona, coincidint amb el cinquantenari de la seva mort, és el seu primer instrument, el “mig-violí” amb el qual va començar a estudiar i amb el qual va fer els seus primers recitals a la seva ciutat de Vilanova i la Geltrú. Aquesta peça va estar donada a la institució per Narcisa Toldrà, la filla del músic, arran dels actes commemoratius d’aniversaris musicals del 2012. L'instrument –malauradament sense nom de constructor– és el mateix amb el qual apareix Toldrà en alguna de les fotografies de la seva infantesa i amb el qual el seu pare i primer mestre, el polifacètic Francesc Toldrà (1859-1931) el va presentar en públic quan tot just tenia set anys, el dia 1 de novembre del 1902. 1919.- Granja Royal, en la calle Pelayo 58. Obra de Antoni Utrillo y hoy lamentablemente desaparecida. establecimiento de don Esteban Sala, que ostenta el nombre de «Granja Royal», y que se dedicará principalmente a la lechería y sus derivados. Constituye tal establecimiento un nuevo ejemplo del lujo con que se decoran al presente los que vienen a aumentar el número de los que señalan una etapa en la presentación de las tiendas barcelonesas." El establecimiento recién inaugurado ofrece en su conjunto una impresión agradable desde el primer momento por las tonalidades dominantes y el buen gusto que se advierte en todos los pormenores que integran la decoración, la cual ha sido dirigida por los señores Utrillo (don Antonio) y Andreu. Del primero son, además, una serie de elegantes plafones de asuntos pastoriles unos y de aire galante otros. El establecimiento se divide en dos partes, una consagrada á la venta y servicios a pie derecho y otra destinada a prestarlos en mesitas, habiéndose utilizado los sótanos para el de manicura, escritorio, etc. Antes de la inauguración el señor Sala reunió en torno a una mesa a varias personalidades y amigos suyos, obsequiándolas cumplidamente, pronunciándose al final varios brindis, que cerró el señor Valles y Pujáls con uno enalteciendo los arrestos e inteligencia del señor Sala." y el 'kefir', especialidad búlgara, que era leche fermentada altamente digestiva. La instalación frigorífica funcionaba con compresores alimentados con amoniaco, unos finos tubos dibujaban encima la palabra Helados y aparecían recubiertos de una fina capa blanca nevada. "Había logrado industrializar la producción de nata, que era mostrada en enormes bandejas: un buen día, al colocar cerca unas fresas, al camarero se le cayó en la gran bandeja de nata una fresa: mi padre la quitó con los dedos y se la comió. Esta casualidad le permitió percatarse de que era una combinación bien grata al paladar y al punto la popularizó", "En 1923 abrió el Salón Doré de la Granja Royal, un lujo nunca visto, decorado por Utrillo y con unas magníficas pinturas también realizadas por él. Allí tocaba el violín Eduard Toldrá; el café lo amenizaba un piano que desgranaba piezas clásicas. 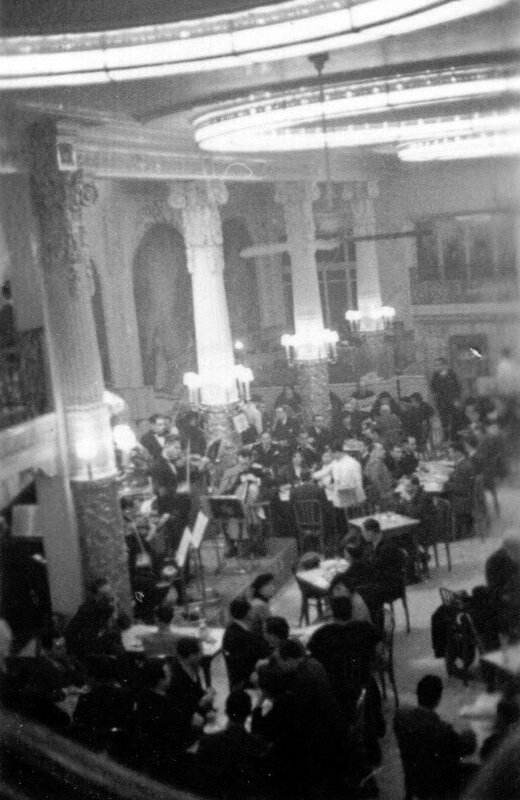 En aquel entonces sólo había música en el Hotel Ritz. Celebraciones que se harían famosas fueron el reveillon de Navidad que tenía entonces más importancia que el de Noche Vieja. Allí se reunía lo mejor de la ciudad a la salida de los teatros y de los cines. "(La segunda Maison Dorée, en el n° 7 de la plaza de Catalunya, se montó a raíz del éxito alcanzado por el establecimiento de Esteve Sala). "Mi padre siempre procuraba que cada uno de sus locales tuviera una personalidad acusada y se beneficiara de una especialidad. También cuidaba mucho la decoración, que era distinta para cada establecimiento". 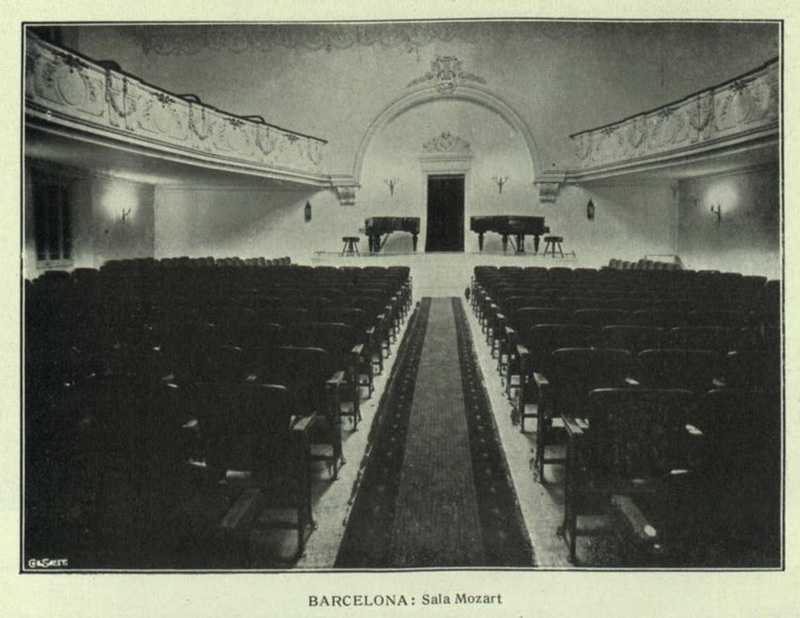 La Sala Mozart va ser inaugurada el 27 de març de 1914 al pis principal del número 31 del carrer de la Canuda fent cantonada amb l'estret carrer de Bertrellans. El projecte fou de l'arquitecte Francesc Colà i Gener, que va dissenyar un espai en forma de ferradura i decoració clàssica a l'estil Lluís XVI. La sala era relativament petita (15 per 15 metres i 6 d’alçada) amb platea i primer pis. L'aforament permetia congregar unes 520 persones i la sala era il·luminada per una gran làmpada plafó de bronze i 140 llums. Les butaques eren basculants de fusta corbada i estructura de ferro fos, equipades amb un penjador per al barret. L'espai de descans era àmpli amb un saló d’entrada i una terrassa enjardinada. El local havia estat arrendat dos anys abans per l'empresa de pianos Cussó, els propietaris de la qual varen tenir l'encertada pensada d'instal·lar-hi una sala d'audicions de piano per afavorir-ne les vendes. Així s'explica l'origen d'aquesta sala que aviat va atraure un públic cult i selecte i va acollir nombroses actuacions musicals i de teatre, així com projeccions de cinema. Però al llarg dels primers anys de la seva història la Sala Mozart va ser també l'escenari habitual de congressos cientifics, conferències i assemblees d'entitats i associacions. Com a fet històric rellevant cal esmentar que a l'any 1933 s'hi va constituir la Lliga Catalana. A nivell musical, la Sala Mozart era un dels auditoris més selectes de la ciutat pel que fa a audicions de música de cambra i concerts de petit format. Oferia una programació estable i de gran qualitat que va veure desfilar els millors músics locals i del país des d'Eduard Toldrà fins a Pau Casals. 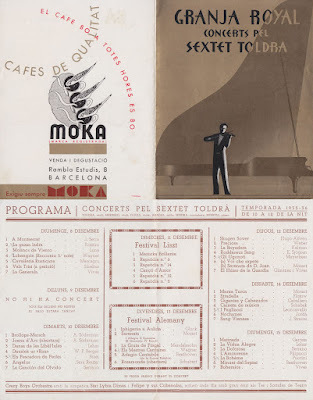 El 1916 el Quartet Renaixement amb Eduard Toldrà al front va interpretar-hi la integral de quartets de Ludwing van Beethoven i el 17 de maig de 1925 s'hi estrenava la suite de piano de Frederic Mompou Suburbis. El 7 de febrer de 1931 hi va actuar el compositor Béla Bartok amb un concert de piano i cançons a càrrec de Valia Sokolova, Aquell mateix any, al mes de juny, s'hi feia el concert inaugural de CIC (Compositors Independents de Catalunya). 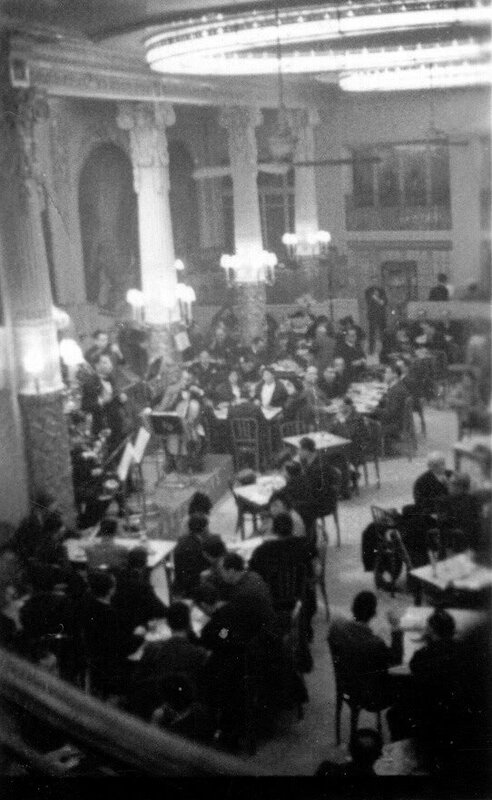 L'any 1932 la Sala Mozart va rebre la visita de Darius Milhaud en la seva única visita a Espanya que li va permetre estrenar la seva òpera Le pauvre matelot. Durant al Segona República també va funcionar com a cinema infantil. En realitat la sala feia funcions de guarderia, ja que era habitual que els pares hi deixessin els seus fills mentre anaven al teatre o al cinema en algun local de les rodalies. Acabada la Guerra Civil, el local va continuar oferint cinema per als més menuts. El 1940 Antonio Marquès hi va estrenar la seva òpera Caperucita Roja. Tampoc hi van faltar els espectacles de màgia -la Societat Espanyola d'Il·lusionisme hi tenia la seva seu social-, ni les actuacions de pallassos i titelles, aixi com algunes retransmission en directe de programes radiofònics de Ràdio Barcelona i actes d'associacions i centres regionals de Barcelona. 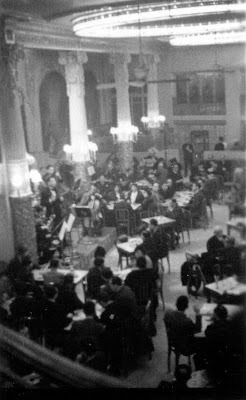 El 1964, el Centre Cultural i Recreatiu Aragonès (abans Centre Obrer Aragonès), va adquirir el local per fer-ne ús com a sala d'actes. Finalment l'edifici va ser enderrocat el novembre de 2003.